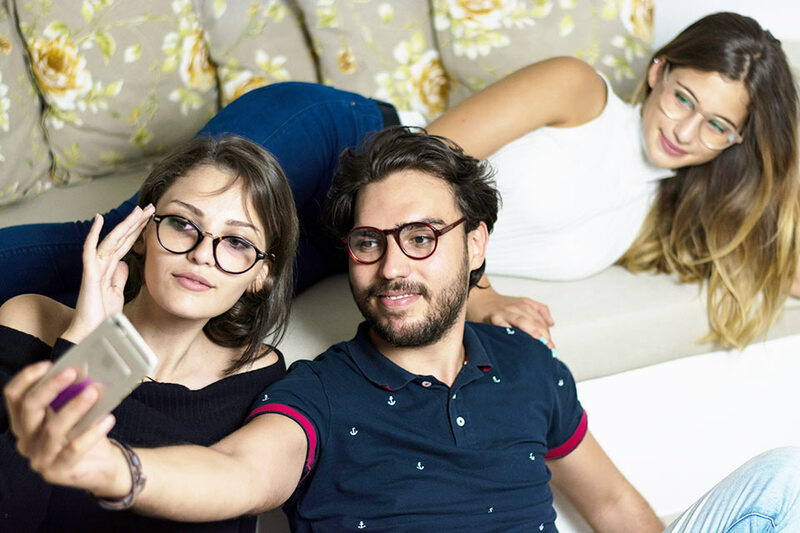 BINOCLE BLUE BLOCKER IS THE SOLUTION..
BINOCLE Blue Blocker lens protects against the Harmful effects of Blue Light and and provides maximum ultraviolet rays coverage. 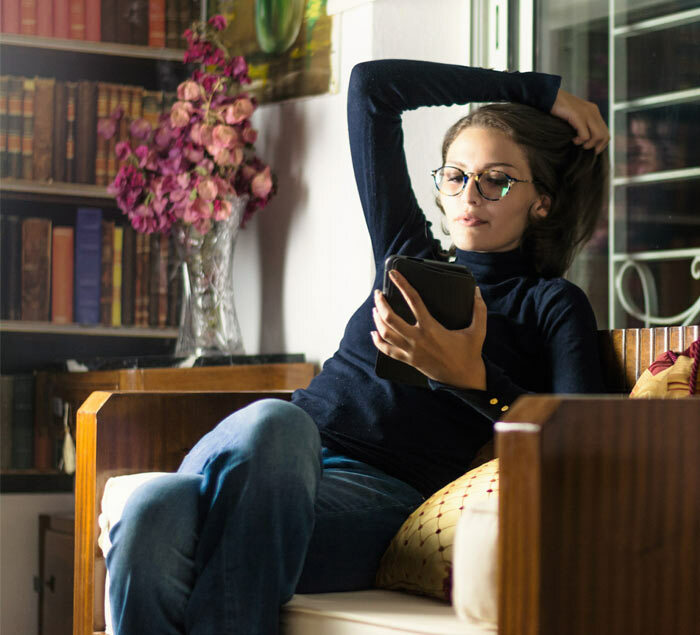 After wearing our lenses, people with symptoms of eyestrain due to prolonged computer exposure felt a significant improvement of the following symptoms: dry eyes, sticky eyes, and the feeling of grittiness or "sand" in the eye. WHY CHOOSING BINOCLE BLUE BLOCKER..
- BINOCLE Blue Blocker lens is not a coating. It is made with a blue-blocking technology directly incorporated into the lens material. That means the Blue Blocker lens won’t chip or wear away. - BINOCLE Blue Blocker lens comes with anti-reflective coating. BLUE LIGHT IN A FEW WORDS..
Blue light is a colour in the "visible light spectrum" that can be seen by the human eye. Blue light has a very short wavelength, and so produces a higher amount of energy. 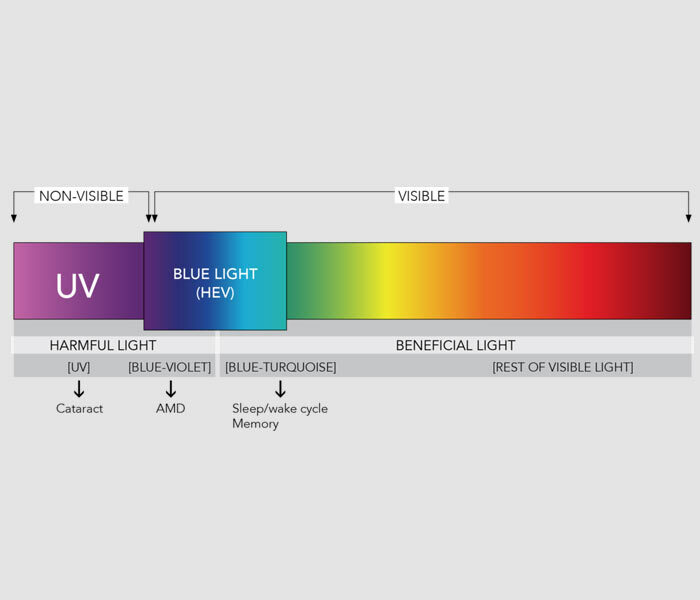 Blue light has a wavelength of between approximately 380nm and 500nm; making it one of the shortest, highest-energy wavelengths which could cause serious long-term damage to the eyes. Blue light exposure may cause permanent eye damage; contribute to the destruction of the cells in the center of the retina; and play a role in causing age-related macular degeneration (AMD), which can lead to vision loss. Are you exposed to the blue light?